Every year ICCF rules are updated, based on the outcome of successful proposals made to Congress by member Federations and Officers. As an open, democratic National Federation the WCCF encourage our players to contribute to this process. If you have any ideas on processes or rules that could be better get in touch with the WCCF Committee and if viable, we will look to develop these into proposals. This tournament has now started on the ICCF webserver. Good luck to all players, and a warm welcome to Bill's sons, Nick and Paul Flew. The win put the Welsh team in this event in a strong postion for qualification for the finals. Welsh Trio 28 has been set up. Below are the details of Banded Norm Open event from our friends in Venezuela. These represent good value for money and a great opportunity to target in Title Norm in a fixed timespan of 1 year, due to the use of the Tri-Bi time control system. If Welsh players have any questions, feel free to get in touch. For no one is a secret, in our Globalized World, the severe conjunctural crisis that crosses the Venezuela of today in the social, political and economic plane. However, as a noble people, warrior and liberator, we do not doubt that the solution lies in love, peace and in initiatives such as the one we are now proposing "POR VENEZUELA", an International Correspondence Chess Tournament that summons all Chess Players at a Distance of the World in order to support an Entrepreneurial Nation and, in passing, pay a permanent tribute to the Memory of a great player in the history of Venezuelan and Latin American chess, Don Pablo Atars. 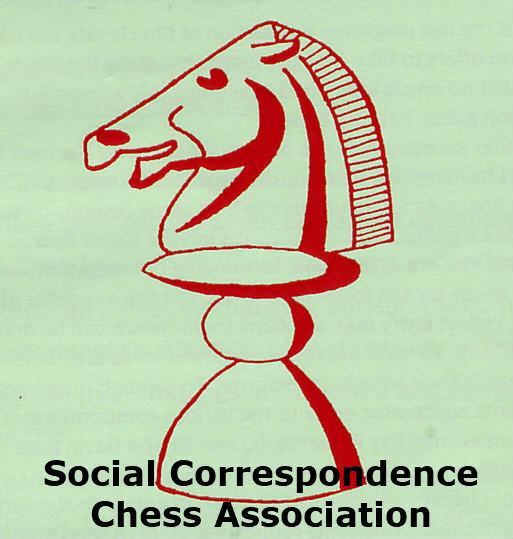 The Venezuelan Federation of Postal Chess (Fedap-Ven) announces the organization of the II CORRESPONDENCE CHESS TOURNAMENT IN MEMORY OF PABLO ATARS (* 1904 and 1976), a notable player of Latvian origin (Latvia) who, at the same time as an excellent the discipline exercised leadership, journalistic and organizational functions on behalf of Venezuela. Along with CADAP (already disappeared entity), FEDAPVEN organized the 1st Tournament in Tribute to Pablo Atars in 2016, giving it then rank of American Zone Tournament, exclusive for American Zone 2 players and some international guests. In this Second Edition, FEDAPVEN has made an effort to give it international character, hence the call is extended to all ICCF players in the World who wish to participate. 1) FEDAPVEN wants, through a correspondence chess tournament, to set an example of initiative and entrepreneurship in the midst of the crisis "Por Venezuela". 2) FEDAPVEN undertakes to pay permanent posthumous tribute to this renowned character in the history of Venezuelan and Latin American Postal Chess, Pablo Atars. 3) FEDAPVEN aims to bring together the largest number of chess players of all categories around an international brotherhood and activation event "Por Venezuela". 4) FEDAPVEN wants to offer all participating chess players the possibility of obtaining official ICCF titles such as GM, IM, SIM, CCM and CCE. 5) FEDAPVEN aims to recognize with a cash prize (EUROS) the champions of each group and sections that will be organized. 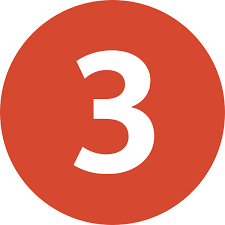 The upload date to the ICCF web server will be on April 30, 2019 and the time will be activated on May 15, 2019, start date. The Rating 2019-2 of the ICCF will be used. The open tournament will be played in a single stage, by Groups, according to ICCF rating ranges. Each group can be divided into several sections, according to the minimum or maximum number of expected participants. Each section will have its independent award. • Group 1: Rating 2401 or more (11-13 players). • Group 2: Rating 2351 to 2400 (11-13 players). • Group 3: Rating 2301 to 2350 (11-13 players). • Group 4: Rating 2251 to 2300 (11-13 players). • Group 5: Rating 2201 to 2250 (9-11 Players). • Group 6: Rating 2151 to 2200 (9-11 Players). • Group 7: Rating 2101 to 2150 (9-11 Players). • Group 8: Rating 2051 to 2100 (9-11 Players). • Group 9: Rating 1951 to 2050 (7-9 players). • Group 10: Rating 1950 or less (7-9 players). This is a tournament per server. Triple block system for a 302 day event, with an initial bank of 51 days and a 1 day increment for the first 50 movements used. If a player's clock reaches zero, the player automatically scores with a loss (even if the bank and / or the increase is> 0). Under some circumstances, all player's games will be canceled later (if they are not yet classified). Players can not stop their clocks to say goodbye. Linear conditions can be entered. This tournament allows claims based on the six-piece base. The 50 movements rule does not apply in positions with seven or fewer pieces. Tie bids are restricted to one bid per player every 10 moves (called the 10-move draw rule). Ties are defined according to the Sonneborn-Berger rule for tiebreaks. If necessary, the servers will be selected by the server. Other participants can watch the games live after 10 games have ended in the event. The live broadcast is delayed by 5 moves. The public can see the games live after 10 games have ended in the event. The live broadcast is delayed by 5 moves. This event is organized by Reyes Maldonado, César Jesús. The cost of the tournament will be 10 EUROS per player, per ticket. Multiple entries are allowed per player according to the number of sections that are structured in your Group. The registration deadline will be April 28, 2019. • 35-30-25-20-15 EUROS to the absolute winner of each section. • GM, SIM, IM, CCM and CCE rules according to the category of the groups that are formed in each section. There is ONE SINGLE form of registration: Transfer via PayPal to the account [email protected]. This inscription can be done directly by the player himself, indirectly, through a family member or third person or, through his National Federation, League or Club, for the cases of registration of multiple players of the same nationality or team. First Blood for West Wales in the Counties and Districts! A great result from Fred Clough! A nice victory for Mark Adams in WS/MN/169 , bringing his second IM Norm! 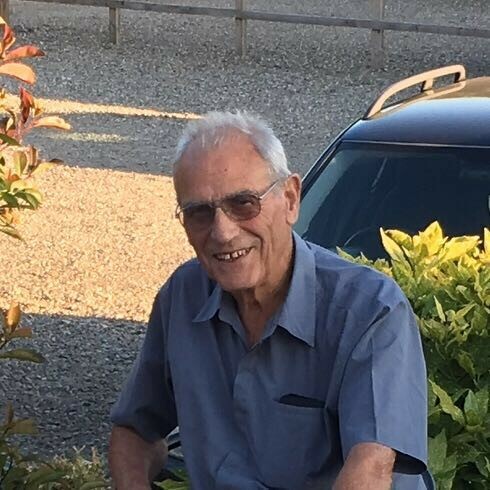 In memory of Bill Flew, who sadly passed away in December 2018, The Welsh Correspondence Chess Federation announce the Bill Flew Memorial Tournament, starting 1st March 2019. Bill learnt to play when he was young, but really started playing at Pennard Chess Club in the 1970’s. After moving to the Midlands for a while, he returned to Gower and spent the last two decades or so playing over the board for Upper Killay Chess Club, at times being captain of both the 1st and 2nd teams. He was also actively involved in Correspondence Chess as one of the first players associated with the fledgling Welsh federation on its formation in 2012. A prolific correspondence player and a team player, Bill represented Wales at correspondence chess in friendly matches against Netherlands, Spain, Venezuela, Latvia, USA, Poland, Australia, Germany, Finland, France, Austria and Italy; he also represented West Wales in the British Counties and Districts Correspondence Chess Championship. He will be sadly missed by all his team mates and the correspondence chess friends he made around the world. The Bill Flew Memorial Tournament will be played using the Silli System, this allows an unlimited number of players, who each play eight different opponents (four as White and four as Black). The tournament will be played online on the ICCF webserver (https://www.iccf.com) and the standard ICCF time control will be ten moves in forty days with forty five days leave available per calendar year. Games will be unrated, and we ask that players refrain from using chess computers for this tournament. There will be no entry fee, and the winner will receive a trophy. WCCF warmly invite all Bill’s friends, from over the board and correspondence chess, to participate in his memory. To enter, please email your name and ICCF number to the WCCF secretary ([email protected]) before Friday 22nd February. Games will be started on the webserver shortly after this date. If you do not have an ICCF ID, please register online at iccf.com (follow the “New Player” link to register). If you register under the Welsh flag, WCCF will approve your account as soon as possible.